Fall is here! Football season (Kneel or Stand), School is back in session, and the holidays are right around the corner. Take some time to appreciate all that you have, friends, family, and freedom. There is clearly a lot of challenges going on in the world today between natural disasters, a tragic mass shooting, and a mega data breach. NocserV would like to take a minute to express gratitude for all the good people in the world that have stood up to help one another. Thank you. Brian Gendron, NocserV CEO has a new Podcast! 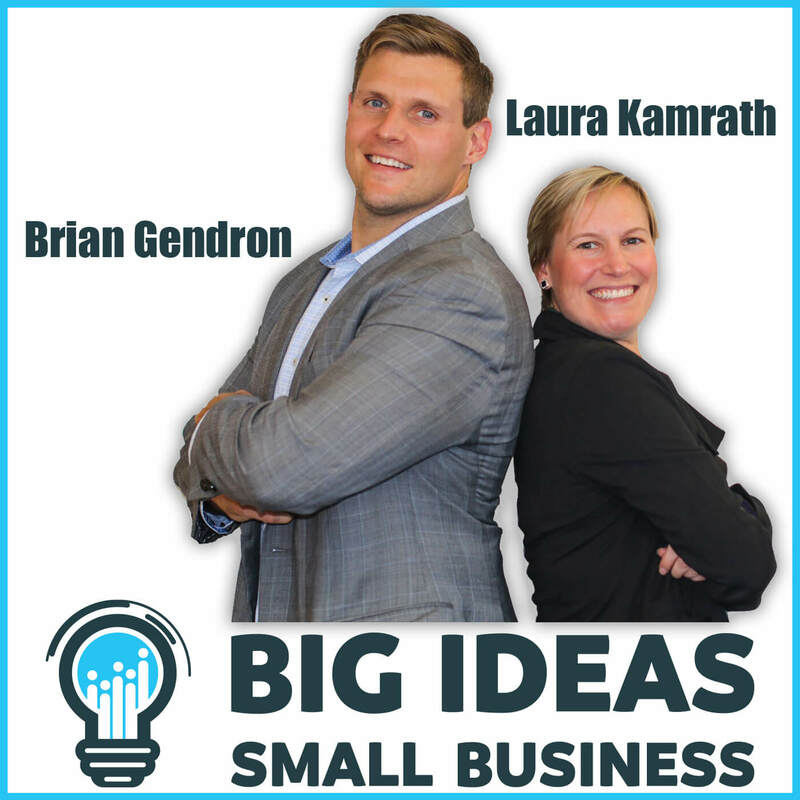 NocserV CEO Brian Gendron Partnered with Laura Kamrath, President of Zebra Marketing Solutions to create the Big Ideas Small Business Podcast about helping Entrepreneurs, Business owners, Consultants, Coaches, Salespeople, and Marketers Succeed. As Small Business owners and entrepreneurs, Brian and Laura go through the challenges, the ups, the downs, the wins and "learns", with the hope that others can find comfort in our discussions that you are not in it alone in the challenging world of running a small business. They will bring relevant discussion around sales and marketing including new technology tools to try, books and articles to read, special guests, and anything else that we can to help you succeed in business. They bring BIG ideas to small business. NocserV would like to take a minute to express gratitude for all the good people in the world that have stood up to help one another. Thank you. Equifax announced on Sept. 7, one of the largest cybersecurity incidents in history that could raise the risk of identity theft for 143 million U.S. Consumers. Unauthorized data access occurred from May through July 2017. The breach was discovered on July 29. Visit www.equifaxsecurity2017.com or call 866-447-7559 to see if your information may have been compromised. File Your Taxes Early – The IRS is more likely to know any subsequent attempts to file a refund in your name are fraudulent . RSVP Required, Seating is limited. NocserV spent several days working in the community to help people after the devastation left behind with Hurricane Harvey. This included volunteering at shelters during the storm, as well as helping people "muck" their homes removing damaged materials and furniture after the storm. We are currently searching for a home rebuild project to take on as a team: Helping a family with supplies and services to drywall and paint their home that was damaged by the storm. If you know of a family in need, please contact: nocservgives@nocserv.com.